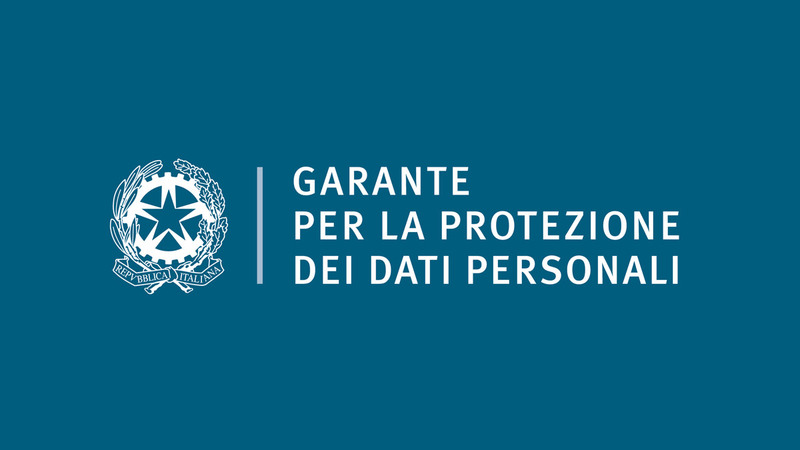 On October 11, 2018, the Italian Data Protection Authority (hereafter referred to as “Garante”) issued, pursuant to Article 35(4) GDPR, the list containing further processing activities [i.e. processing activities additional to those provided for in art. 35(3)] that require a Data Protection Impact Assessment (“DPIA”) to be carried out prior to the processing. The list was adopted after having positively implemented the opinion and instructions of the European Data Protection Board (“EDPB”) published on September 25, 2018 (see ICT Insider of October). In short, each national Supervisory Authority (“SA”) was required to draw up a draft list containing the types of processing activities that would require a Data Protection Impact Assessment to be carried out prior to their initiation and implementation. The draft list had then to be sent to the EDPB with a view to scrutinise the use of the margin of discretion left to the SAs, in order to ensure a consistent application of the GDPR throughout the Union. Hence, the final version of the list published today is the outcome of the implementation process of the Board’s opinion and views on the indicated processing types, as means of guaranteeing a uniform application of the GDPR. DPIA, pursuant to Article 35(1) of the GDPR. Before going into detail, it is worth to recall the nature of the DPIA in order to better understand the fulfilment and, more importantly, the practical effects of the list. The DPIA, set out in Art. 35 GDPR, is a major novelty introduced by the GDPR as well as one of the main applications of the principle of accountability for data controllers to assess and manage the risks associated with the processing of personal data. In fact, when a processing operation is likely to result in a high risk to the fundamental rights and freedoms of data subjects, the data controller shall, prior to the processing, carry out the DPIA in order to assess which technical and organisational measures may contribute to ‘lowering’ or entirely mitigating the risks of the processing. If, regardless of the measures implemented, the DPIA’s residual risk remains high, the data controller should consult the supervisory authority, which may either indicate further measures to be taken, or even limit or suspend the processing. So what changes with respect to the former Legislative Decree 196/2003 (Italian Privacy Code)? On the other hand, a new requirement is added – i.e. the DPIA – which stems from the accountability principle underlying the GDPR, requiring the controller to take decisions regarding the processing in order to prove compliance with the new legislation. In fact, the DPIA is a concrete example of the so-called ‘risk-based approach’, which translates to a data protection compliance that has risks as its center, meaning that the measures of companies are more dynamic instead of static formulas. Moreover, the GDPR applies a substance-over-form rule, a common feature of EU legislation, as a way to place the responsibility of decision-making on the controller, by providing the general principles on which the decisions must be based. Specifically, the principle of accountability requires for the data controller to consistently carry out data protection impact assessments, and based on their results to decide whether to put in place certain measures or not. The risk-based approach is also enhanced by the structure of the GDPR, which hardly ever provides an exhaustive list of typical cases, as a way to formally fulfil the coveted qualification of ‘being compliant’. Instead, the legislator leaves the application of ‘accountability’ to the discretion of the controller. This substantive approach can also be found in Article 35(1), which lays down a general principle applicable to any scenario arising before the data controller who – once having established the existence of the use of new technologies, taking account the nature, scope, context and purposes of the processing – must, prior to the processing, carry out a DPIA if he/she considers that there may be a high risk to the rights and freedoms of natural persons. Paragraph 3 of Article 35 sets out a non-exhaustive list of cases with a view to helping the controllers identify processing activities covered by this obligation. Meanwhile, paragraph 10, identifies the processing activities which may be excluded from such obligation. The practical consequences of this approach are to be found in the structure of Article 35(3), which – as already mentioned – lays down an open catalogue, outlining only those cases where a DPIA is ‘in particular’ required. It is, indeed the controller who must assess when there is still a high risk, in the light of the general principle laid down in Article 35(1). To this end, the controller is certainly guided by the 9 criteria identified by the WP 248, and – as of today – by the list of the Garante. Large-scale evaluation or scoring processing, as well as processing involving the profiling of data subjects and the carrying out of predictive activities, including activities online or through apps, relating to “aspects concerning the professional preferences, economic situation, health, personal preferences or interests, reliability or conduct, location or displacements of the data subject”. Automated processing for the purpose of taking decisions which have ‘legal effects’ or ‘significant similar effects’ on the data subject, including decisions which prevent the data subject from exercising a right or making use of a good or service or continuing to be party to an existing contract (e.g., screening of a bank’s clients using data recorded in a central risk database). Processing involving the systematic use of data for the purpose of observing, monitoring or controlling the data subjects, including the collection of data through networks, whether carried out online or through apps, as well as the processing of unique identifiers capable of identifying users of information society services, including web services, interactive television, etc., with respect to usage habits and viewing data for extended periods. This includes metadata processing, e.g., in telecommunications, banks, etc., carried out not only for profiling, but more generally for organisational reasons, budgetary forecasts, technological upgrades, or to improve networks, as well as to offer anti-fraud, anti-spam, security and other services. Systematic processing of genetic data, considering, in particular, the volume of data, the duration, as well as the length or persistence, of the processing activity. As mentioned before, this revised list drafted by the Garante is neither to be considered exhaustive, nor directly entailing the obligation to carry out a DPIA, given that the final decision continues to lie on the data controller’s assessment of the presence of a high risk for the rights and freedoms of natural persons. Hence, only after having identified the high risk should the controller assess whether one of the cases envisaged in this list applies. By contrast, notwithstanding the occurrence of one of the processing scenarios included in the list in the abstract, a DPIA may not have to be carried out if, in accordance with the accountability principle, the controller considers that there is not a high risk. This is also upheld and made explicit by the European Data Protection Board in point 4, according to which “this is a non-exhaustive list”, to the extent that the EDPB asks for the Garante to specify it in the list itself. The EDPB also reiterates the need to apply at the same time the criteria developed by the WP29, in WP 248 in order to make a full assessment on whether there is a need for a DPIA or not. Moreover, the EDPB stresses the need to simultaneously apply the criteria devised by the WP29, in WP 248, in order to make a comprehensive assessment of the need for a DPIA or not. In the light of these considerations, the EDPB’s opinion shows that, as far as biometric data are concerned, the processing of biometric data itself does not pose a high risk (and, hence, the obligation to carry out a DPIA). However, if that data is processed with the aim of uniquely identifying a person, in conjunction with another criterion, a DPIA is necessary. The processing of genetic data, geolocalisation or the use of new technologies does not in itself entail an obligation to carry out a DPIA, unless at least one other criterion is met. Further processing, as well as the use of a specific legal basis, neither alone nor in conjunction with another criterion, implies a need for a DPIA. On the contrary, the monitoring of employees could result to the obligation of carrying out a DPIA, on the basis of the ‘systematic nature’ of the processing and the fact that it concerns ‘vulnerable persons’. The same applies to the collection of data through third parties, due to the risk to the person concerned of being deprived from its rights. Likewise, the use of an innovative technology in conjunction with another criterion could involve the DPIA. The list therefore includes, among others, large-scale evaluation or scoring processing relating to ‘aspects of professional performance, economic situation, health, personal preferences or interests, reliability or behaviour, location or displacements of the persons concerned’. But there are also cases of processing operations producing “legal effects”: e.g., screening of a bank’s clients using data recorded in a central risk database. Furthermore, the processing of data involves the systematic use of data for the observation, monitoring and control of those concerned, not only for the purpose of profiling but also for organisational reasons, budgeting, security, etc.. This includes large-scale processing of data of highly personal nature such as financial data that could be used to commit payment fraud. There are also video-surveillance or geolocalisation processing carried out within the context of an employment relationship if it is possible to carry out remote monitoring of workers. Furthermore, the large-scale data sharing between different data controllers, as well as the systematic processing of biometric or genetic data, depending on the volume of data, the duration and permanence of the processing activity. compensation for damage to the data subject (Art. 82 GDPR). The data controllers will therefore have to pay attention to the risks for the relevant stakeholders concerning the processing of personal data that they intend to implement, and carefully verify whether it is necessary to carry out a DPIA, while maintaining a steady effort in interpreting the legislation, especially after the publication of the list referred to in this article. Although a more extensive and detailed list of processing operations that require a DPIA would have been desirable for data controllers, the list can only serve as a guide, given the variety of processing activities that can occur in practice and the risk-based approach of constantly evaluating risks.